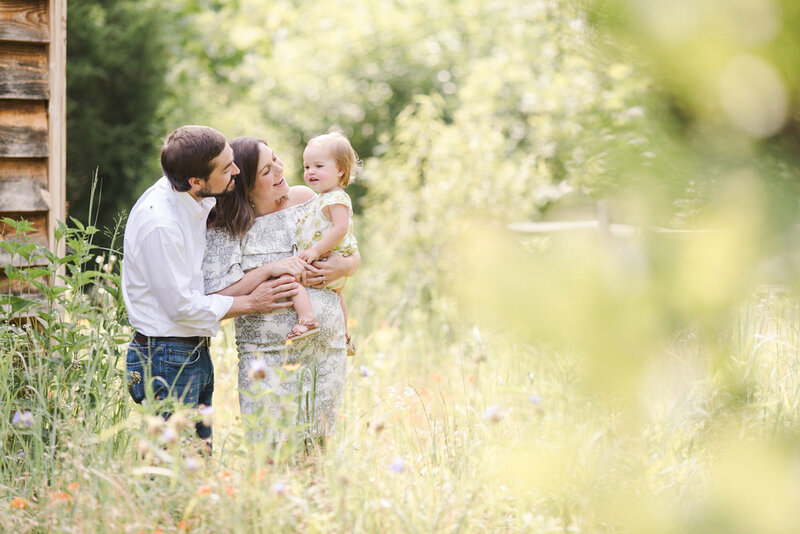 The Gossett Family Lifestyle Session! You should probably be sitting down. This little family is so adorable and I had such a great time hanging out with them in their home on Friday morning! I first met Amanda and Jeremy back at one of our favorite couple's weddings (See here). When Amanda contacted me about doing some photos of their newest addition Maddie, I was so excited! Maddie is 5 months old, ok 5 1/2 and is almost 100% sitting on her own, she can make it for a few minutes and then slowly topples over to tummy time. I just love this stage, she was evaluating everything, especially me and that huge camera in my hands making all kinds of noise with me jumping around and singing. Her mom and dad are obviously smitten with their little 'punky' and are absolute pros at first time parenthood! Thanks so much for letting me come over and play, these photos will be a lifetime treasure!